Swiki was and still is one of the best (and most easy to use/maintain) implementations of a wiki. It is written in Squeak Smalltalk and I usually use the Winterlong release back from 2005. With it a Swiki server is easy to setup (just unzip and run) and as it stores the files in XML they are easy to backup, repair or query. Now Chris got Swiki working in a recent Squeak 4.5. image also. Nice! Smalltalks 2014's preliminary conference schedule is now available, check it here. Need a litte Smalltalk cheat sheet - then look here. Read all the details about the upcoming Pharo conference and check the doodle. There is a conference planned in Lille the 29 and 30 of January called "PharoDays". Read here to find the Doodle. More and more Pharo success stories appear. Like this about the usage in a bank. 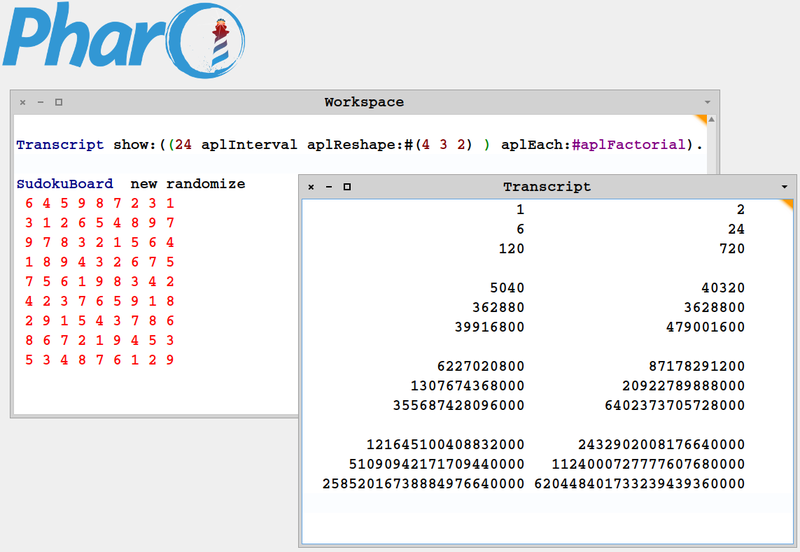 Want to use APL (Array processing language) like concepts in Pharo. Then have a look here. Phratch 4.0 is available. Read more or grab it from http://www.phratch.com/. New Spur trunk image is available.